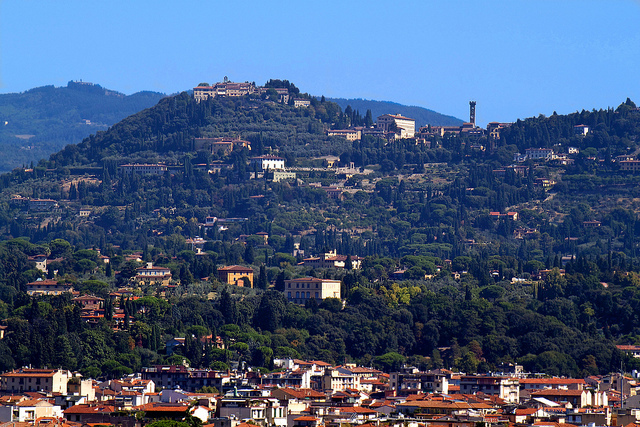 If you are visiting Florence, you definitely need to stop in Fiesole, located right over Florence. Sometimes this small town is called “the roof of Florence”, and it opens a lovely panorama of entire Florence and its valleys. However, there are plenty of other attractions as well. The history here is calculated from the 4th century BC, when Fiesole was one of the most important Etruscan cities in the region, called Vipsul. In the 90s BC, the settlement was renamed, and it had all typical Roman city buildings – a forum, a theatre, several temples, thermal baths and an acropolis. With the growing power of Florence, ’attrition’ appeared and in 1010 Fiesole was for the first time devastated by the Florentines. Later, Fiesole and its surroundings became the seat of luxury villas, including the palaces of the Medici family. And since the 17th century, various foreign artists or scientists, coming to Florence, used to settle here. The easiest way to get to Fiesole is the public transport of Florence (bus No. 7 departs from the square Piazza San Marco, located in the centre of Florence). The buses run from the early morning until midnight. You can get a ticket at ‘Tabacchi’ kiosk or from the bus driver. On the way to Fiesole, you will be surprised by the beautiful panorama – the bus goes through the streets, which are surrounded by amazing Florentine suburban villas, gradually rising to the top. Environed by cypresses, protected by high gates, the beauty of these extraordinary villas delights every newcomer. After getting off in the central square of Fiesole, you simply have to choose what you want to see. Archaeological zone. 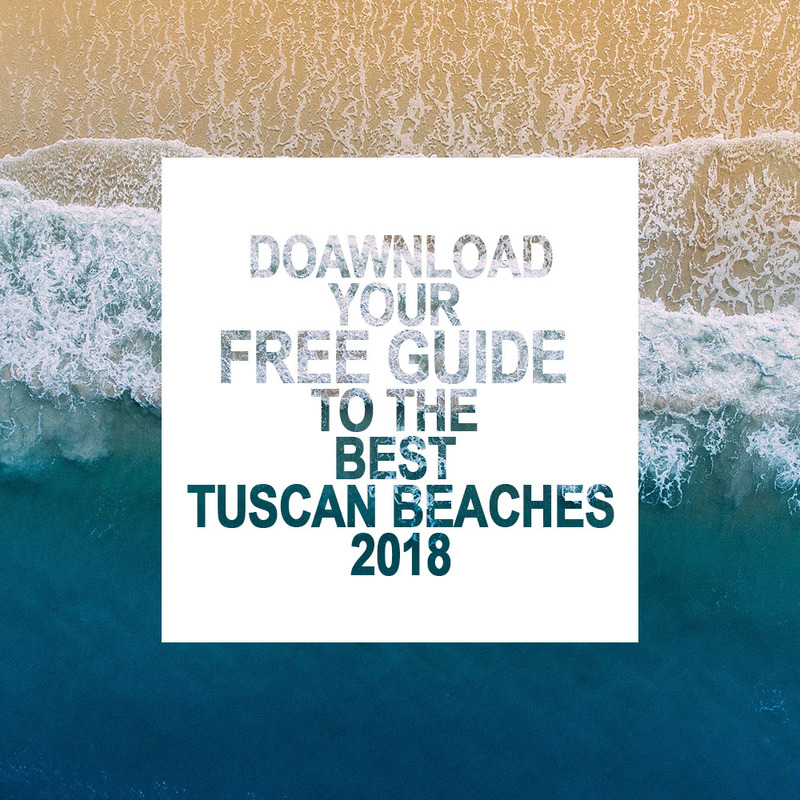 There are lots of archaeological monuments of different periods located in a large green area – the Roman theatre, where spectacular concerts are usually organised in the summer time, the Etruscan-Roman Temple and the relics of Roman Thermos. There is also an archaeological museum. Museums. Museo Bardini stores many examples of the 13th -14th century Florentine paintings and terracotta products. Sanctuaries. Cattedrale di S. Romolo was started in the 1028s. 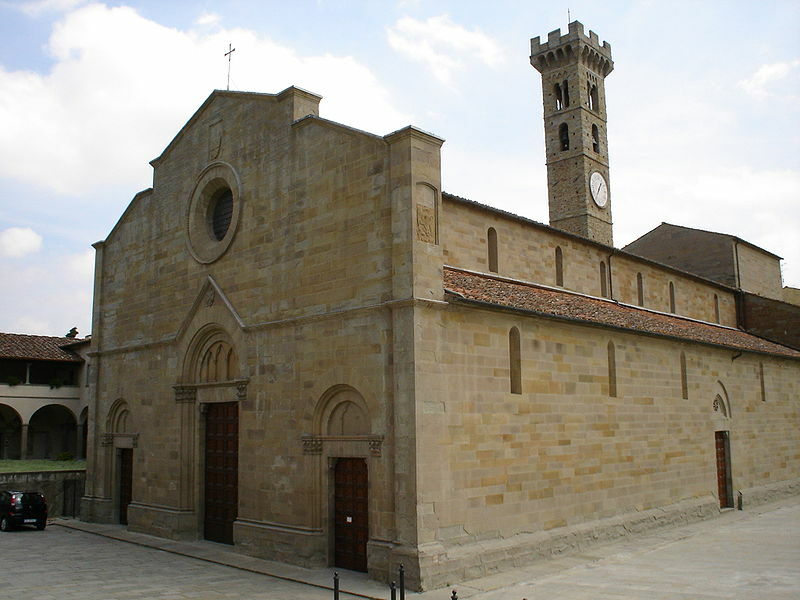 The Fiesole Cathedral is in the Romanesque style, with its modest interior, including one of the most interesting objects – the crypt. The cathedral always lingers in half-light, therefore it is a perfect place to hide from the outside heat in summer. Badia fiesolana is the Abbey of Fiesole, built in the beginning of the 11th century, which has a noteworthy Renaissance monastery courtyard. Chiesa e Convento di San Domenico – the church and monastery, completed in 1435, housing works by Beato Angelico and Antonio da Sangallo the Older. The observation deck. 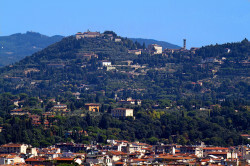 The observation deck of Fiesole opens a wonderful panoramic view of Florence and the entire valley. 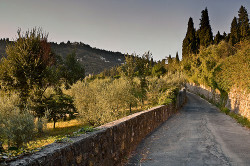 There is a steep cobbled path leading directly from the observation deck to the central square of Fiesole. In spite of all breathtaking views around, you will also notice Convento di San Francesco (English: the Convent of St. Francis) proudly standing behind. The convent was built in 1399. Villas and Gardens. 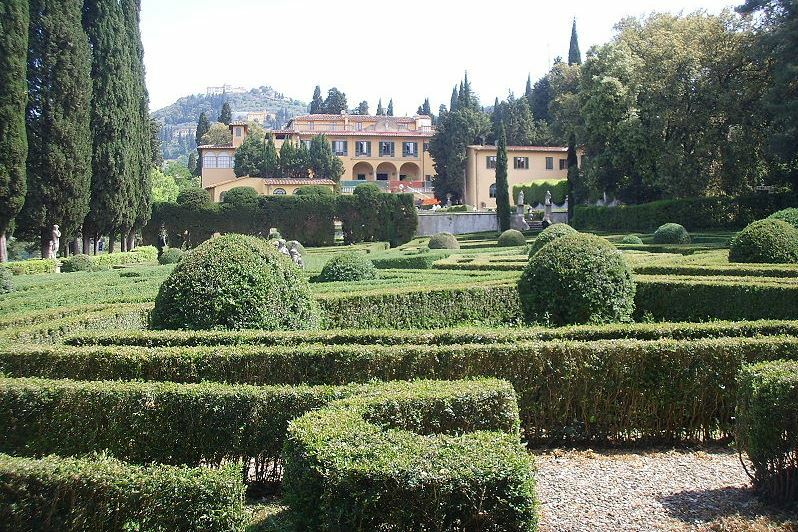 Villa Medici in the hills of Fiesole is one of the most beautiful, the oldest and best-preserved, but less well-known family villas. Built in the middle of the 14th century, it was the first true Renaissance countryside villa, rather than just one of many typical urban buildings. 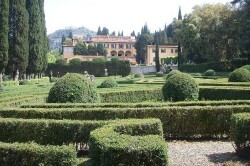 Villa Peyron and its park are often mentioned among Italy’s most beautiful parks. 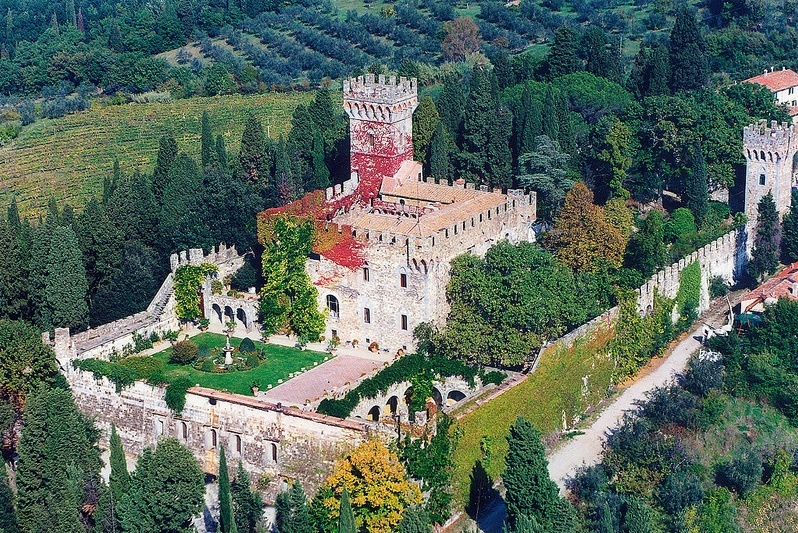 Castello di Vincigliata reminds a fairytale castle, surrounded by a green park (the history of the castle is counted from the 11th century). 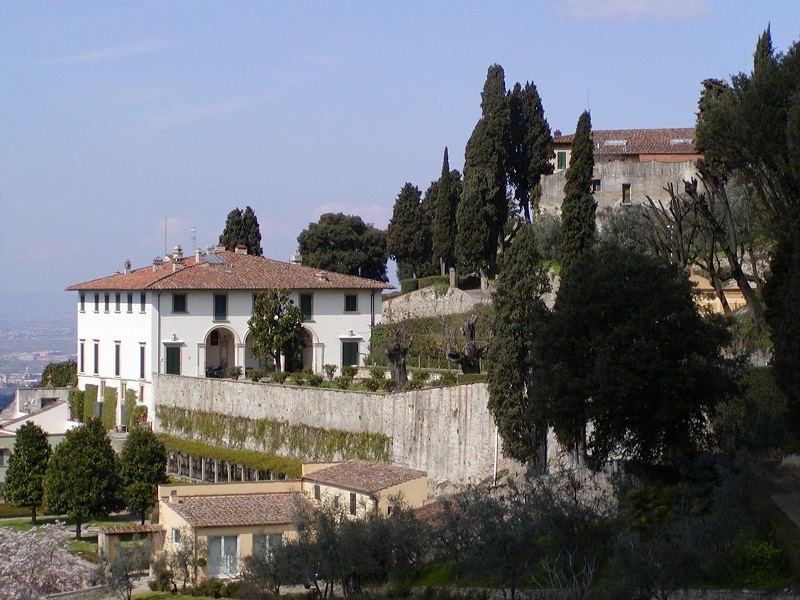 Villa Nieuwenkamp belonged to the Abbey of Fiesole and in the 19th century it was turned to a luxury residence. In the first half of the 20th century, it was also the residence of Dutch painter Wynand Otto Jan Nieuwenkamp. Other charming villas are: Castel di Poggio, Villa di Maiano, Villa San Michele, Villa le Balze, Villa Schifanoia. 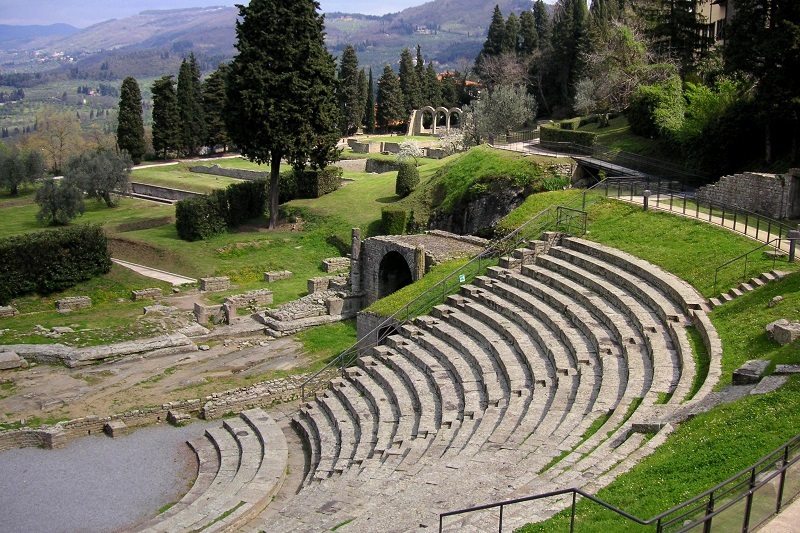 Fiesole – is a great place for active tourism. Therefore, we suggest that you try a walk in the countryside, where you will be able to enjoy rural views and nature, as well as get acquainted with interesting, but rarely discovered objects. The route ‘Etruscan trail’ presents the Etruscan archaeological heritage outside the area. 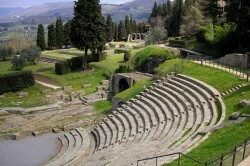 Masonries, burial places and mysterious characters remind of the great Etruscan past in Fiesole. The route ‘Ancient rural roads’ takes travellers back in time, when farmers worked using the ancient methods. The old stone based country roads wind through gardens and provide amazing views of nature. The route ‘Orchids in the world’. None of tourists is surprised to find out that you can see hundreds of wild orchids in Fiesole. Flowers of different sizes and colours simply charm every visitor. The route ‘Montececeri Park and its caves’. The most famous Florentine architects Brunelleschi, Vasari, Michelangelo and Cellini were especially fond of stone, known as the ‘Pietra Serena’, which is often found in the old city palace. So this route is a great opportunity to get to know this material and the places from which it reached the most luxurious villas of Florence. Montececeri is also very often referred to as ‘luogo Leonardiano’, i.e. Leonardo’s place. And not for nothing – it is because in the first years of the 16th century, Leonardo da Vinci owned some land in this place, where he used to test his flying machines.